After years of service, months of planning, and days upon days of hard work, you’ve finally made it: you’re almost ready to retire. You’ve likely already got a lot on your plate right now – training your successors, handing off projects and assignments, and handling the administrative paperwork. Amid all the preparation, have you started thinking about your financial situation for retirement? Getting your finances ready for “life after work” is a vital step for anyone about to leave the workforce – and it’s definitely not something to leave until the last minute. In fact, the sooner you start making some smart money moves, the better. It could mean the difference between living comfortably well into your senior years, or unexpectedly struggling with bills and expenses. For most retirees, any children have grown up and left the nest by now, leaving their parents with more space than they really need. There’s the added need to assess your living space more thoroughly as you get up in years – including whether you’ll be able to handle things like stairs as you get older. Tack on the potential issue of not having paid off your mortgage before retirement, and your home’s costs could become an unwelcome burden. If this rings true for you, consider rightsizing your living situation. This doesn’t necessarily mean moving into a bigger or smaller home, but rather one that’s better suited to your needs. Plus, you can gain a bit of extra cash if you hold a yard sale, to get rid of any belongings that you don’t need any longer. If you’re set on staying put in your current home, focus on paying off your mortgage completely before retirement, or use a reverse mortgage loan. That way, you’re not dealing with making big payments on a fixed-income, post-work budget. Get to work on paying off any lingering debt you may have accrued throughout the years. If you’re not going to have a steady paycheck coming in, you won’t be well-equipped to continuously pay off your debts – even just the minimum payment. Before you know it, you could be up to your ears in accumulated interest (particularly if you have credit cards with high interest rates). If you’re five to ten years away from retirement, start putting aside part of your monthly earnings to go towards your outstanding debt – be it credit card, line of credit, mortgage, or other forms of debt. On the flip side, if you do still need to take on additional debt, make sure you’re getting the lowest interest rates possible. MoneySense recommends that as you get close to retirement, you should only borrow for “productive” reasons (i.e. assets that appreciate in value). Stay alert for scammers, frauds, and terrible investments cloaked as “once-in-a-lifetime opportunities.” Remember, even the lowest rate doesn’t turn a bad investment into a good one. Your focus should always be on paying off your debt as soon as you can – not simply managing it. It’s pretty straightforward to calculate, yet it’s surprising how many Americans don’t have a personal budget. When you’re approaching retirement, it becomes critical to have a sense of where your money’s going, and what your biggest expenditures are. This gives you a better picture of what’s necessary and where you can cut back. Since your budget informs how much money you’ll need in retirement, it’s important to be honest when making calculations and estimations. You can give yourself some leeway for unexpected costs, but be sure to have a backup plan so your monthly budget isn’t completely thrown off. Even if you’re positive you’ll have enough money set aside to stick to your budget, WiseBread suggests doing a “trial run.” Attempt to adhere to your post-retirement budget for a few months. This gives you the chance to smooth out any difficulty before retirement begins – and to make sure you didn’t underestimate your costs of living. 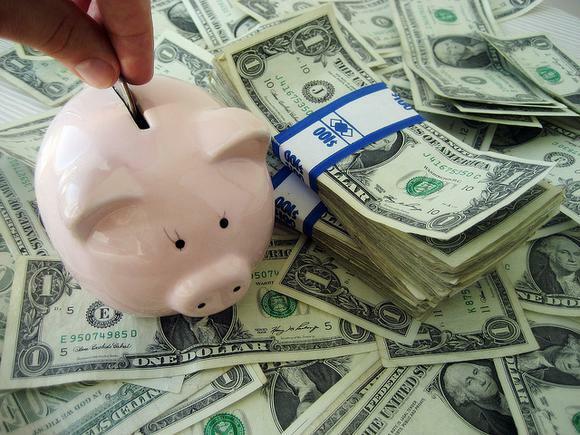 Speaking of that backup plan – how’s the health of your savings account right now? If you weren’t putting aside significant contributions to your retirement fund early in your career, you might be a little panicked at the state of your savings. It may even turn out that it’s not financially viable for you to retire when you want to. Fortunately, you’ve got options to help you catch up. After you’ve turned 50, for instance, you can make contributions to your retirement plan of up to $6,000 per year. Also, if you’re over 50 and contributing $24,000 per year, it opens up tax benefits that you can take advantage of to earn more money on your savings. It’s worth doing some research to see if you qualify for any additional government benefits, and applying for them as soon as possible. As with housing, your insurance needs will likely be changing as you get older. You could be looking at shifting your life insurance policy, or you might want to assess the state of your health and change your plan accordingly. You might not need as much life insurance coverage if you have less debt and fewer dependants – but, you may want to put more money towards long-term care insurance, in the event of health problems down the line. Insurance costs can factor big into your post-retirement budget, so get your plans and needs sorted out before you leave the workforce. As you look forward to retirement, it’s inevitable that you’ll have a lot on your plate. As much as you’re working to pull off a smooth transition out of your job, and leave your successors in good shape – don’t neglect to ensure that you (and your spouse) will be in good shape, too. It’s one thing to work towards the day you retire; it’s another thing to make sure all your days after that point will be secure and stable. Putting off retirement savings and financial planning only hurts you in the long run. Be proactive and begin to take a serious look at your budget, your spending, and your projected future needs. You want to spend your golden years comfortably – not stressing over money. Have you already started putting money away for retirement? Do you have concrete plans in place for your retirement years? Tell us in the comments. This article is for educational purposes only. Consult professional tax, insurance, and/or financial advisors before making retirement decisions.